40-seconds of highlights from the Participate! workshop and Solution Room I recently facilitated for the New York State Bar Association. One of the most rewarding aspects of my work is training associations how to create powerful and effective participant-driven and participation-rich conferences. I love facilitating the learning that occurs. The training equips the organization with the tools needed to transform its events. 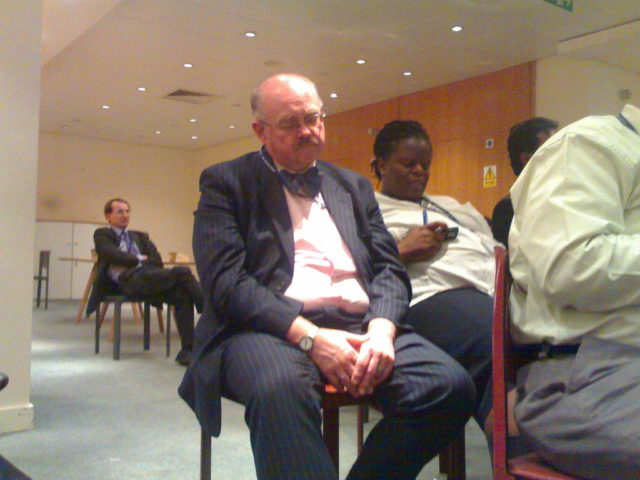 Do you want to significantly improve your meetings? Then please don’t hesitate to get in touch! Traditional conferences focus on a hodgepodge of pre-determined sessions punctuated with socials, surrounded by short welcomes and closings. Such conference designs treat openings and closings as perfunctory traditions, perhaps pumped up with a keynote or two, rather than key components of the conference design. Unlike traditional conferences, participant-driven and participation-rich peer conferences have a conference arc with three essential components: Beginning, Middle, and End. This arc creates a seamless conference flow where each phase builds on what has come before. Participant-driven and participation-rich peer conference designs improve on traditional events. They don’t treat openings and closings as necessary evils but as critical components of the meeting design. Let’s examine each phase of the peer conference arc in more detail. 75% of healthcare professionals want to have input into the content of meetings they attend. Yet 36% have never been asked to provide input into any agenda or program. These disconcerting statistics are two of the research findings in a February 2016 report The Future of Meetings [free download] commissioned by Ashfield Meetings and Events. I wouldn’t be surprised to find that these findings, from a meeting sector that is relatively well-funded and certainly capable of supporting high-quality meeting design, would be replicated at most conferences held today. Meeting owners and planners: it’s time to supply what your attendees want! A hat tip to MeetingsNet‘s Sue Pelletier for making me aware of the report via her article “Research Puts Some Science Behind Scientific Meetings“. 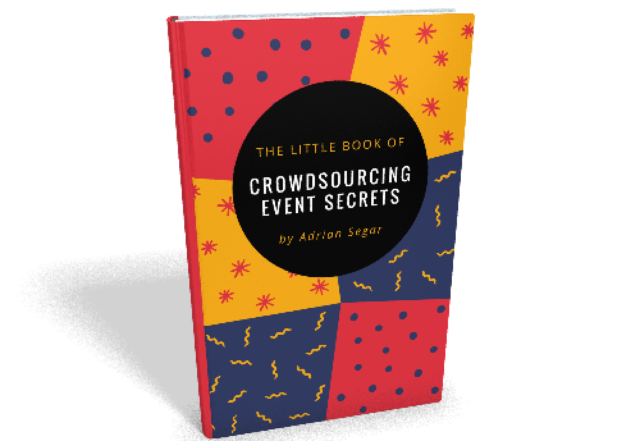 One of the most common questions I’m asked is how to add participative elements into existing events and market them effectively. 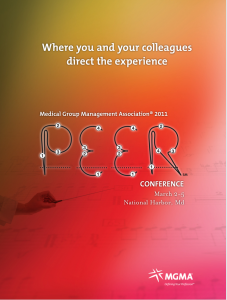 The Medical Group Management Association will be doing just that at their 2011 PEER conference (estimated 800 attendees). Even MGMA’s choice of name for the conference echoes the event’s theme of “directing the conversation”: PEER, a neat acronym for Participate, Educate, Experience, Relate. Take a look at how the PEER themes are carefully woven into the conference brochure (click image to view). What do you think of MGMA’s design and marketing? Full disclosure: MGMA is a client of Conferences That Work. Misconception 7: Conflict is bad…The reality is that whenever you have more than one living person in a room, you’ll have more than one set of interests, and that’s not a bad thing. Why do we cling to traditional event structure? One powerful reason is because we want to avoid dealing with messy differences of opinion. When we give attendees the power to choose what happens at our conferences, people are going to disagree. And when people disagree, there’s the possibility of controversy and conflict. Who’d want that at their event? Perhaps you believe that learning is some kind of linear process that happens painlessly. That’s certainly the paradigm we’re fed in school. Even though most of us struggle to learn there, the underlying message is usually “if you were smart enough, this would be easy”. If you do believe that conference learning should be painless, let me ask you this. Think for a moment about the most important things you’ve learned in your life. How many of them came to you in the absence of disagreement, pain, or conflict? And how many of them did you learn while sitting in a room listening to someone talk for an hour? Do you want your conferences to maximize learning, even at the cost of some disagreement or discomfort? Or would you rather settle for a safe second best? We are scared about not having control in our lives and at our events. That’s why we lock down our conferences, forcing their essence into tightly choreographed sessions. Attendees are carefully restricted to choosing, at most, which concurrent session room they’ll sit in. The reality is that you never had control to begin with, just the semblance. You’ve been kidding yourself all these years. 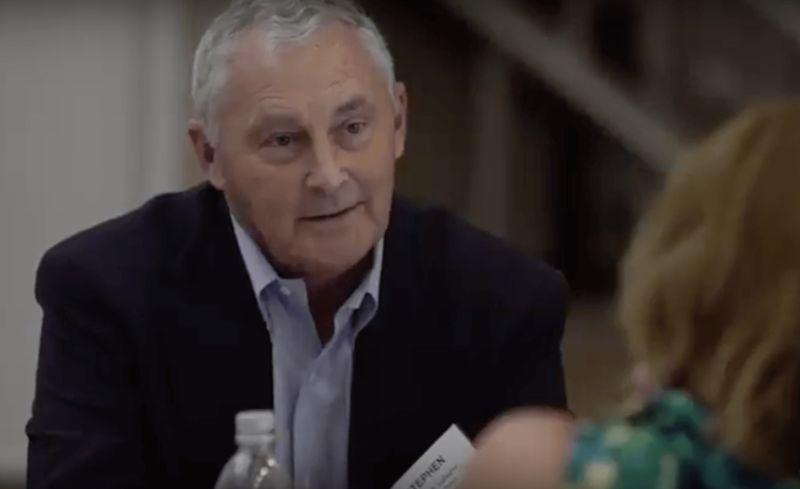 Unless your constituency is bound to your event via a requirement to earn CEUs, members can withhold their attendance or avoid sessions at will. Fortunately, there are multiple ways to give up the unnecessary control exercised at traditional conferences and give attendees the freedom and responsibility to make the event theirs. All participant-driven event formats like Open Space, Conferences That Work, and Future Search treat attendees like intelligent adults. What’s amazing to discover is how liberating these event designs are for conference organizers too. When we give up over-control, we become largely freed of the responsibility to choose the content, format, and instigators of our conference sessions, concentrating instead on supervisory, facilitation, and support roles. Yes, the result is an event that is less predictable, and often more challenging. But the richer experience, the creation of an event that reflects what participants truly need and want, and the joy of uncovered valuable, unexpected, appropriate learning make it all worthwhile for everyone involved. Interested in a highly participatory alternative to talk-at-the-audience conference sessions? Then you’ll want to learn about a brilliant session format we used at the edACCESS 2010 Web 2.0 Collaborative Tools Workshop. 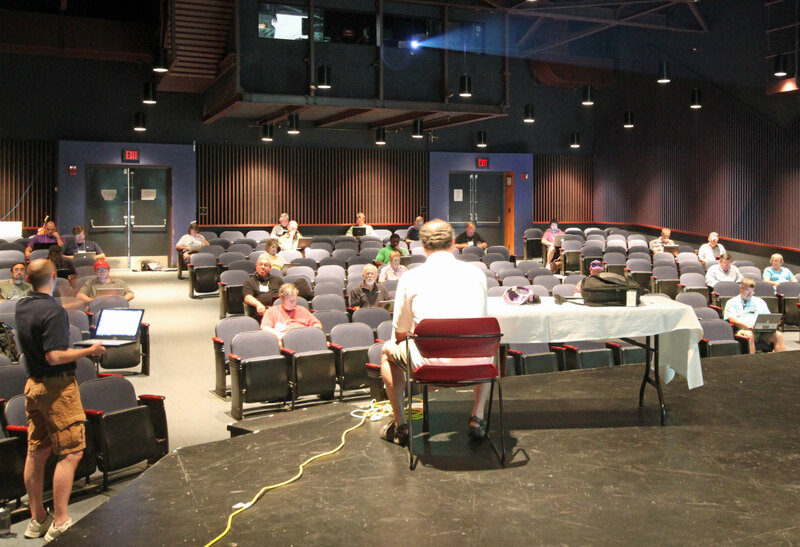 I’ve been running peer conferences for edACCESS, an association of information technology staff at small independent schools, since 1992, and just wrapped up our 19th annual conference, held this year at Williston Northampton School in Easthampton, Massachusetts. The four-day conference did not include a single traditional didactic session. Only two sessions were scheduled in advance: a Demo Session in which attendees, scattered around the exhibit area, gave short presentations on cool technology and applications used at their school, and the case study described below. All other topics and formats (33 in all!) were crowd sourced, using the Conferences That Work methodology, during the first few hours of the conference. I told Joel that I loved the idea of using a case study format for the session, and suggested he add a little more detail (about the IT operations at the school) to his case study. Here are the final case study materials that attendees received. They were posted on the conference wiki several days before the session took place. You may want to check out the link before reading further. As we listened in the school theater, Joel spent ten minutes introducing the case study materials. He gave us a list of tools, including a blog already set up on Cover It Live—projected on a large screen in front of us—and told us we had to collaboratively create a one page report of recommendations on how to cut a (fictitious) $1,000,000 school information technology annual budget by 50%. Oh, and we couldn’t talk to each other face to face! All communication had to be done online. Normally, a project of this type would take an experienced IT staff days to complete, requiring extensive discussion of every facet of the organization’s infrastructure, personnel, services, and budget. Oh, and we had ninety minutes! In that time, we had to choose appropriate collaborative online tools, divide up the work, discuss options, make decisions and recommendations, and write the report. Finally, Joel explained, after the exercise was complete, we’d have half an hour to debrief using good old-fashioned talking to one another, face to face. Some participants had traveled thousands of miles to edACCESS 2010, and now here we were, sitting in a theater auditorium, silently working at our computers. During the first twenty minutes of the session, I was highly skeptical that we would be able to accomplish anything meaningful. (In the debrief, it turned out that most people had had the same expectation.) To see what transpired you may want to check out the complete blog conversation transcript, which provides moment-by-moment documentation of our online conversation. Notice that tweets that included the conference hashtag, #edaccess10, were merged in real time into the transcript. At around 8:50 a.m., the group started to get organized. Communicating through the blog, people started to suggest online tools to work on specific projects. The tools mentioned were Google products: Wave, and Docs. Our sophisticated attendees were aware that Docs had been upgraded in April to support simultaneous editing by multiple (up to 50) users and they even knew that you had to choose the “new version” on the Editing Settings tab. Up to this point I had not been working on the project, but was monitoring the blog conversation as a process observer. I asked to receive an invitation to the Google Wave, but a link never came. Eventually I found out that the Wave had only been adopted by a few attendees. But when I clicked on the link for a Google Docs spreadsheet that had been set up I was astounded. (Check it out!) Attendees had created a multitab spreadsheet with a summary page that showed the current savings in different budget areas that people were working on linked to separate detailed tabs for each area. I was amazed at the work that had been done, and immediately added a small contribution of my own—a column showing the percentage budget savings so we could tell when we’d reached our 50% goal. People used free cells to annotate their suggestions and decisions. Bill Campbell, who was moderating the blog, used Cover It Live’s instant poll so we could discover the tools we were using. The poll showed that most of us were working on the spreadsheet. Thirty minutes before the end of the exercise, I suggested someone set up a Google Doc for the report (I didn’t know how to do this myself.) Within a few minutes the report was created and people started writing. I added a starting introductory paragraph and corrected a few typos. It was truly remarkable to see the report evolve keystroke by keystroke in real time, being written by a ghostly crew of 30-40 people. With fifteen minutes to go, it became clear we could reach the 50% reduction goal, and that the report would be ready on time. The release of tension led to an outbreak of silliness (starting around 10:00 a.m. in the blog transcript) to which I must confess I contributed. Here is the Final Report. So what did we learn? Here are some of my thoughts, feel free to add your own as a comment at the end of this post. First of all, everyone was surprised by how successful our effort had been. I think all of us underestimated the advantages of working together online, where multiple channels of communication and collaboration can coexist simultaneously. This is so different from meeting face to face, where, in general, at any moment one person is monopolizing the conversation. I am pretty sure that if we had done the same exercise face to face, we would not have come up with such a high-quality solution! I think the case study worked well because we trusted each other. The group members knew each other to varying degrees, and we were prepared to accept individual judgments about self-selected areas where each of us chose to work. The exercise would not have gone well if we had been concerned about the abilities of some of the participants. One interesting observation is that we were working collaboratively on publicly accessible documents. As a result, we don’t actually know how many people contributed to our work, or even if they were all at edACCESS 2010! This made it very easy to add new workers; anyone who was given the link to a document could start editing it right away. A private workspace would have required some kind of registration process, which would have encumbered our ad hoc efforts. One weakness in our approach is the lack of any formal checking mechanism for the report we generated. A few people went over the report during the last ten minutes and commented that it “looked good” but if one of us had made a serious mistake there’s a good chance it would have been missed. This exercise was akin to what happens when a group of people responds to an emergency—everyone does the best they can and is grateful for the contributions of others. It surprised me that no obvious leaders emerged, although several people (including me) made group-directed suggestions that seem to have been accepted and acted on. A number of people commented early on that they couldn’t use their iPads effectively for the exercise. We needed multiple windows open to be able to work efficiently, and the Cover It Live transcript wouldn’t scroll in Safari on the iPad (though there appears to be a work-around). It’s hard for me to think of a more participant-driven format for a successful conference session. For two hours we were spellbound, working and playing hard on our laptops, and then excitedly discussing and debriefing. I wager that all the participants at the edACCESS 2010 Web 2.0 Collaborative Tools Workshop will remember this experience and their associated learning for a long time. What other lessons can we learn from this experiment? Are there ways this collaborative process might be improved? 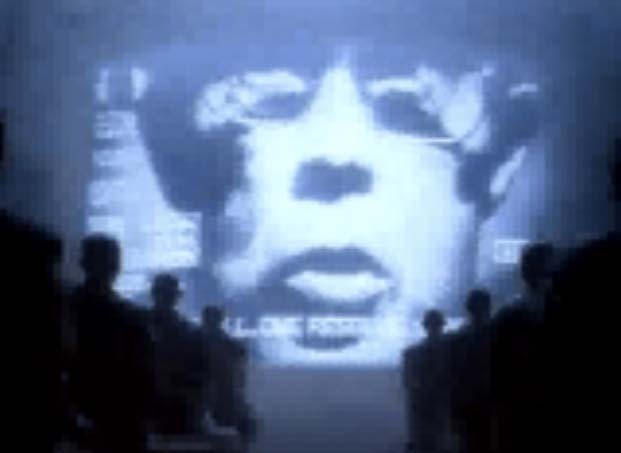 Some Research about Face-to-Face Communication at Live Events. Innovative Techniques in Conference Formats (slideshare). NCDD’s Engagement Streams Framework helps people navigate the range of approaches that are available to them and make design choices that are appropriate for their circumstance and resources. The Meeting of the Future. On confidentiality: The Europe/Chatham House Rule.